The metal bar door of our room made us felt as if we were prisoners! “We are! What do you think is that device over there?” Nathan said sarcastially pointing at the iPhone on the table by which I was recording our conversation. 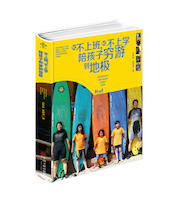 “You don’t know how challenging that is…wait… You DO know how challenging that is!” Olivia said looked at me knowing that we both were learning how to understand Joani better. We celebrated our four-month annivarsary at a local Nepali restaurant in Pokhara. 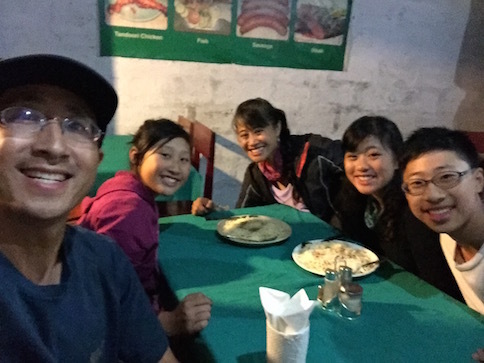 We were sitting, eating, and joking around a table at the outdoor porch of the King Kebob Restaurant in Pokhara, Nepal. Pokhara is the popular tourist town where trekkers around the world stay before and after trekking the Annapurna Himalaya mountains. 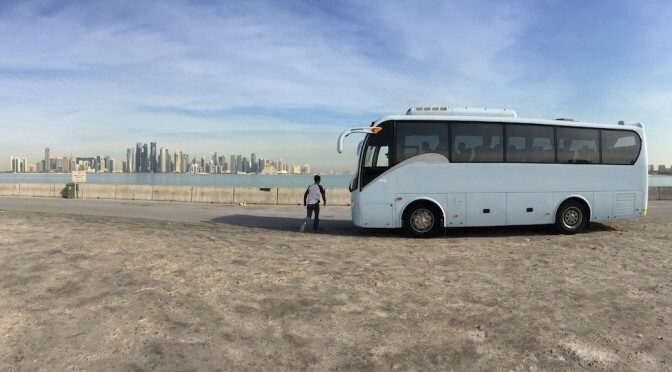 We had traveled for exactly four months since we began in June. 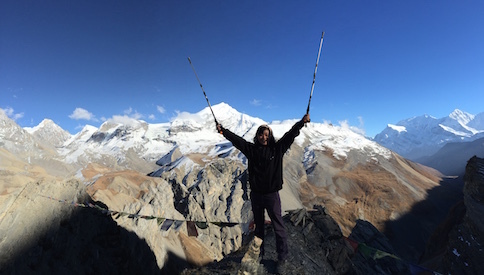 At our four month point, we reached our sixth country, Nepal. 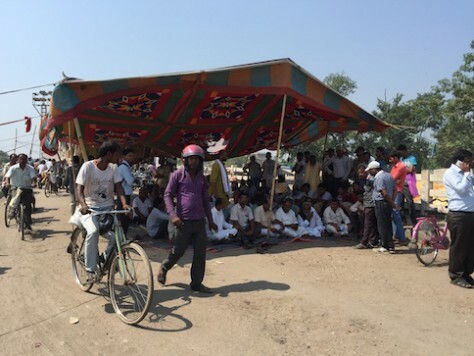 When we crossed the Raxual border between India and Nepal, we witnessed the bridge blockade by villagers first hand. 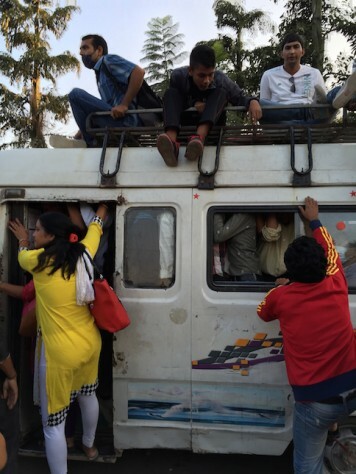 Due to the fuel crisis, the buses were so full that passengers had to sit on top of the bus or hang outside the door. Despite these setbacks, our whole family really enjoyed our travel in Nepal. In Kathmandu we stayed with an American family with four children whom we were good friends back in Kunming, China. It was a good rest and good social time for Olivia, Nathan, and Joani. 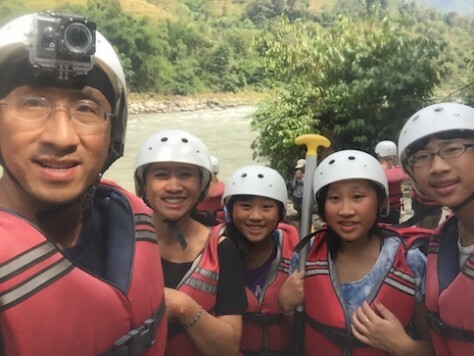 We did a two-day overnight white water rafting trip along the Triuli River, where we got to jump off the raft and tumble in the midst of roaring rapids. 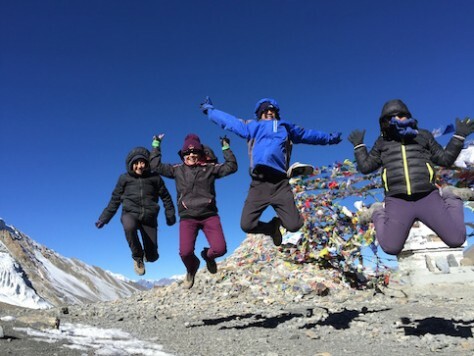 We did an eight days trek on the world famous Annapurna Circuit mesmerized by the blue, blue sky and white, white snow peaks above 8000 meters (Read the blog on our trek). 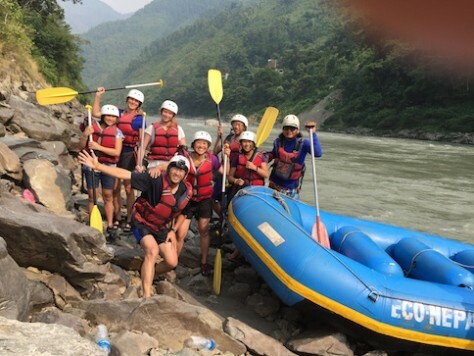 Like Bolivia, Nepal not only has some of the highest mountains in the world but also lush jungles where we rode on elephants high above the tall grass and shrubs and got to see one-horn rhino and large crocodiles in the wild up close. We also went on a jungle walk inside the Chitwan National Park and saw footprints, nail marks, and feces of the elusive Bengal Tiger. We also enjoyed bathing together with an elephant on its back. 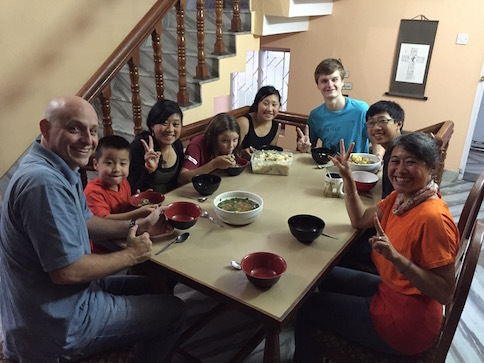 The children enjoyed their peer social life and rest at Kathmandu at a family friend’s home. 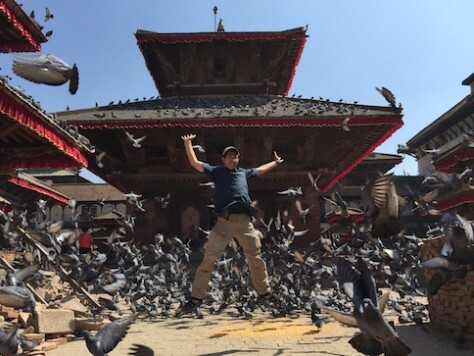 After 18 years, I visited the Durbar Square of Kathmandu for the second time, except this time many temples had collapsed due to the 8.0 earthquake in April 2015. We celebrated as we finished our two-day overnight rafting trip on the Trisuli River of Nepal. 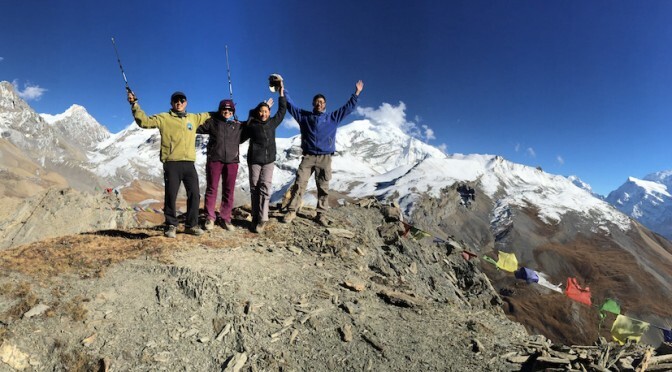 we made it to the 5416 meters Throng La Pass on Nepal’s Annapurna Circuit! 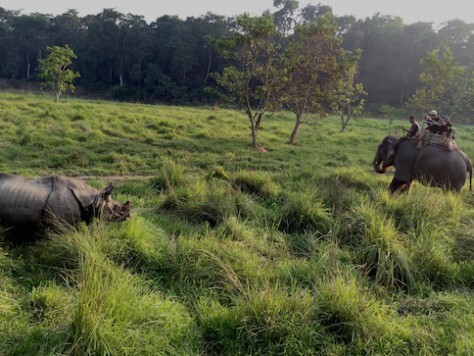 We got to be up close with a wild one-horn rhino on the elephant safari at the Chitwan National Park of Nepal. To celebrate our four months anniversary, we ordered a yak steak, extra servings of pasta with cheese, and a bottle of tonic water and shared our thoughts our the past four months. “Our first one-third is mainly Asia, our second one-third will be Middle East, and our third one-third will be Europe,” I analyzed. “I was emotionally preparing myself for India. 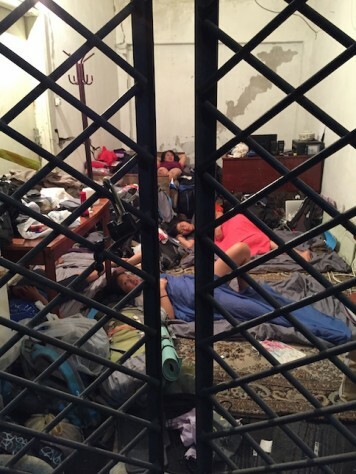 It turned out as I had expected – it was my hardest country. I think Middle East and Europe will be easier,” Annie reflected. “Yeah…the heat, the humidity…breathing the humid air in India for a whole month, I felt trapped. It felt like a year,” Joani said as if she was still feeling the heat. “Your birthday will be in Israel, Joani. High five! Mine as well!”Nathan high fived Joani. “Maybe Joani you can be baptized in the Jordan river on your birthday!” I suggested excitedly. 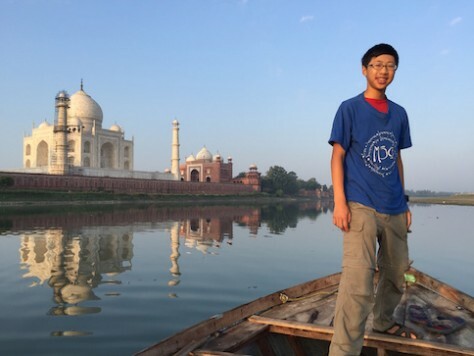 We took a boat ride next to the Taj Mahal in Agra for a quiet sunrise view. “Only cyclist are longer. And they’re amazing,” Nathan added. We were having a lot of fun and laughers reflecting back the past four months and looking forward to the next few months. It was a small restaurant and we were definitely making loud noises. I decided to focus our sharing a bit. “So, what is the highlight for you in these four months?” I posed the question to each person. “I feel this last month, we are finally getting into a groove and our family relationship is finally getting better. 磨擦够久了 (Translation: We had bang heads enough)! I feel more a part of this family. My relationship with Joani and Nathan are better. We are doing something about it and I am seeing the growth,” Olivia shared first. “In the beginning we were all in our little world. It was quite discouraging. I got lonely. It was lonely because we were together in the same space, just stuck. That’s lonely,” Olivia continued. “‘Doing thing’ and ‘DOING THINGS’ are different,” Joani emphasized. “A change I saw in myself is that I am more attentive to you guys. When you call me, I will respond back. I will turn off my music and listen,” Joani reflected. “For me, I started to write my journal for the first time when I did my devotions,” Nathan said agreeing with Olivia. 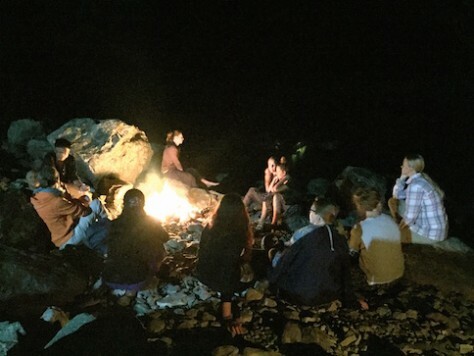 Around the campfire of our overnight white water rafting trip, we enjoyed chatting with other travelers. It was very enlightening to me to hear their sharing. 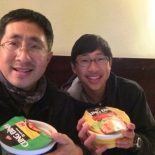 I did not realize how difficult it can be for teenagers, who need social life outside of the family, to travel with just their family members for one year. Originally, I thought this trip will be just like 7 years ago when we traveled together for a year, when daddy and mommy were all that they needed. Much of their self-esteem had been built by what their peers think of them. Now they have to really think deeply and introspectively about who they really are and not what their friends say who they are. I was also encouraged to hear from them how we all changed, adjusted, and are more intentional in growing closer to each other, although we still have much room to grow. “What are you all thankful for these past four months,” I continued to asked them. “I am thankful we have been relatively healthy — no major accident or sickness, not the type you need your health insurance to evacuate you. That was grandma’s biggest worry,” Annie shared first. 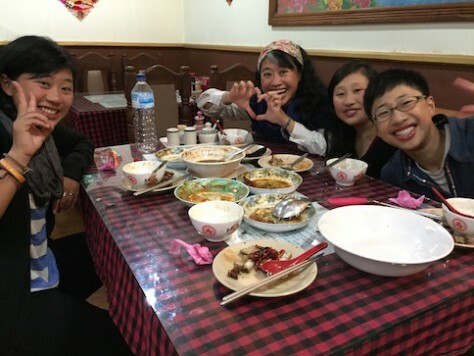 We didn’t realize how much we missed Chinese food after four months until we ate at this authentic Chinese restaurant in Pokhara. 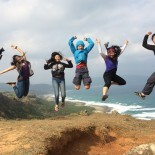 “I am thankful that now after four months, we have learned how to travel as a lifestyle and not as tourists. 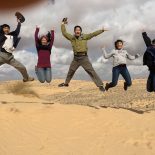 At first, I wasn’t sure how it will be like to travel for a year because the longest we had traveled from place to place was for three months in South America. Now, I feel we have found a good pace of seeing places and allowing some time to rest and relax,” I shared next. “Like breathing…” Joani laughed, thinking about how we learned how to slow down our pace when we trekked the Annapurna Circuit in Nepal so that we don’t run out of breath. Bathing with the elephant was definitely an highlight in Chitwan. We felt a close connection with the elephant when we touched its skin. “Our crossing the border to Nepal could have been just awful (due to the protest at the border), possibly being stuck in a hotel doing nothing for five days…” Nathan continued. “…apart from doing homework…” Joani laughed. 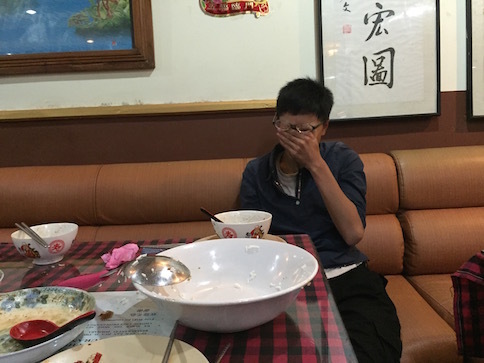 As Nathan shared how amazing is the Chinese food he was eating, he began to cry from being homesick. 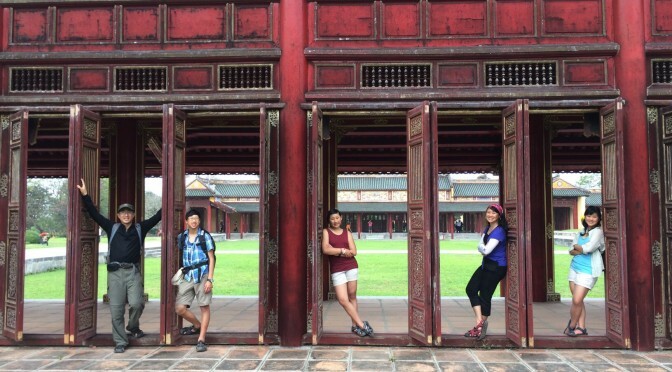 “Also this trip made me realize that dad puts in a lot of effort into planning. During the rafting trip, people kept asking me questions like how did you find this, how did you do that. All I can say was, ‘I don’t know. You can ask my dad. He did everything. I just follow him. '” Joani shared. “Dad is like thinking, ‘Thank goodness this is being recorded’,” Olivia joked. Rafting in Nepal was our second time doing white water rafting after our first time in Banos, Ecuador. As I listened to their thanksgivings, I couldn’t help but to give praise to God. They shared from their heart. They also all experienced God’s goodness in these four months and gave God the credit. Even though we are living in a ‘cave’ like an experiment, the children are still willing to work hard to make it work, to see the positives, and to treasure the time we have together. I wonder what we will share at the end of the one year experiment? Olivia sitting on top of the world at the High Camp on Nepal’s Annapurna Circuit.